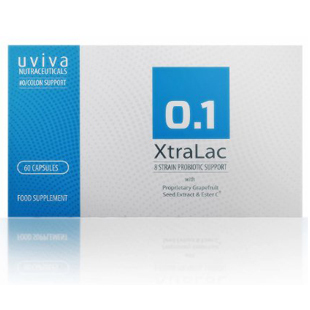 XtraLac is a specialised probiotic with the ability to defeat Candida naturally. Candida is a parasitic yeast that lives in your digestive system. It plays no beneficial role and is usually kept under control by your body's immune system. However, if your immune system is compromised in some way, candida can grow out of control creating toxic by-products and damaging your gut walls allowing toxins to leak into your bloodstream. 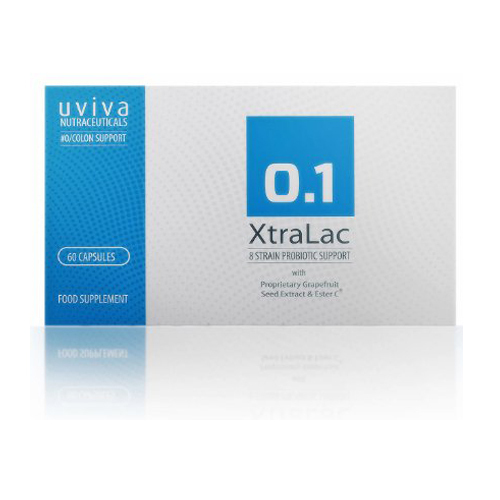 XtraLac normally takes 5-14 days to provide significant relief and 2-3 months for full recovery. Severe or persistant problems may take longer as not everyone is the same. In general, a box of XtraLac will last a month, though in severe cases you may need a higher dose. If you suffer from frequent re-infections, a preventative dose of one capsule a day (half a box per month) can help prevent your Candida problem from returning. 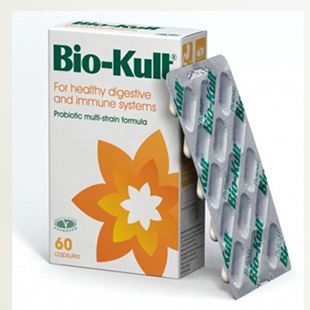 Bio-Kult Advance Probiotic Formula contains 14 protected probiotic strains proven to survive the high acidity of stomach acid enabling them to reach the gut intact. 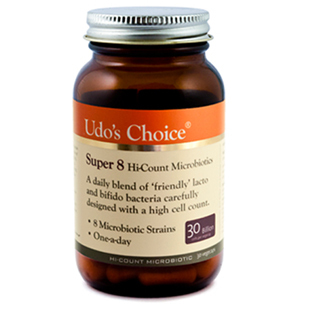 Udo's Choice Super 8 Hi-Count Microbiotic is a probiotic formulated for its value to upper bowel health and contains one of the highest number of bacteria per capsule counts in the UK. 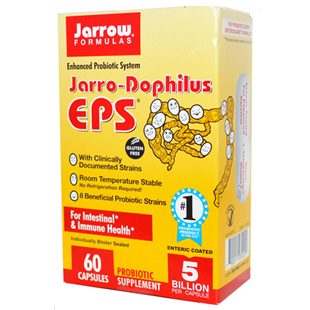 Jarrow Formulas Jarro-Dophilus EPS uses a coated capsule delivery system to ensure the maximum number of beneficial bacteria reach their target unmolested by harmful stomach acid. A larger pack size is available below. 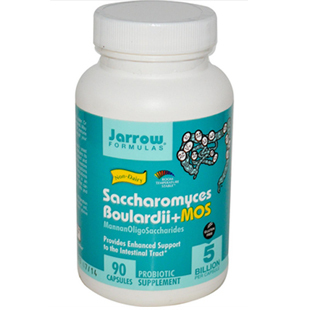 Jarrow Formulas Saccharomyces Boulardii Capsules provide enhanced support to the intestinal tract by way of a probiotic yeast that survives passage through the stomach. 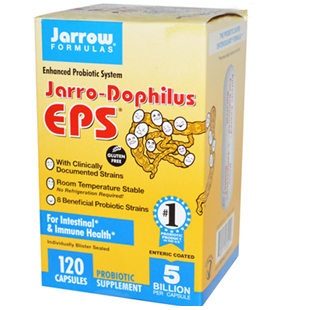 Jarrow Formulas Jarro-Dophilus EPS uses a coated capsule delivery system to ensure the maximum number of beneficial bacteria reach their target unmolested by harmful stomach acid. The larger pack size (120 vs 60) ensures a good supply at a value for money price. 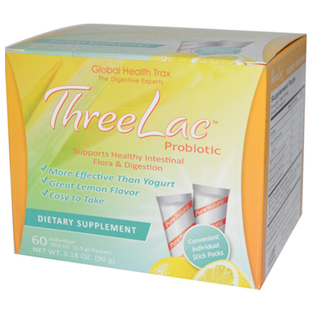 Global Health Trax ThreeLac Probiotic provides intestinal flora and digestive support in convenient individual stick packs that have proven themselves more effective than probiotic yoghurt in getting the friendly bacteria to where they're needed. 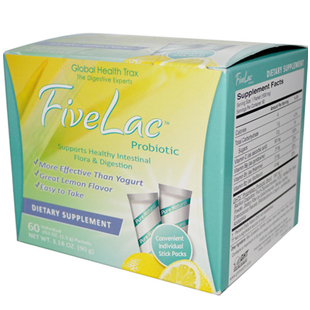 Fivelac probiotic from GHT provides the same digestive support as ThreeLac but with the added benefit of additional friendly bacteria strains.